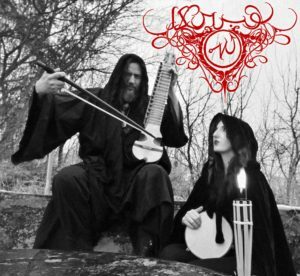 Formed in 1995 with the release of the Kakos Draconis demo, Akrabu has been the musical outlet of Scorpios Andro ctonus (Crimson Moon, Acherontas, ex-Melechesh, etc). Consisting entirely of acoustic instruments, Akrabu has continued with this tradition throughout its recordings, avoiding the use of synthesizers or sampled/synthetic sounds. Based on Sumerian lore and mythology, the music of Akrabu is intended to evoke a meditative state utilizing a variety of acoustic guitars, exotic stringed and wind instruments, various percussion, voices and field recordings. Dark Age Productions will reissue AKRABU – Kispu Ina Ina Nekelmu in 2018.